I’ve been trying to put the finishing touches on a blend I’ve been working on since January. No kidding. Seven months, and it’s still not quite there. Sometimes, things just fall into place, and it all seems effortless. Other times, every step of the way is like a ball being shot into a giant Pachinko machine, rattling and bouncing about endlessly, until, finally, it falls through the wrong hole. This one has been like that, like being stuck in that Adventure game in the "Maze of twisty little passages, all alike." It can sometimes be a bit maddening. Like barking mad. Like Mad Hatter mad. It takes a certain amount of insanity to do this stuff. Then, one day, all the hair pulling pays off, which is what finally happened early in the week. Wish me luck. And, believe it or not, that’s actually a pretty good segue to this month’s questions, so without further ado, let’s pull the lever, launch another ball into its chaotic trajectory through Mr. Pachinko, and get to the questions. Mike asks: I imagine that you learn a few new techniques with every blend. I wonder if your mind then goes to previous blends that would be improved by that learning? Am I right in concluding that you don’t go back and try to work the new into the old as it would change the blend, and that those who buy a certain blend expect a certain taste? On the other hand, I do sometimes revisit older blends with new ideas in mind to build something different. Key Largo is a good example of this. When I first made Robusto, I really wanted to do it in a pressed form, but lacked the ability to do it, so I worked on the blend to get the results I was after, utilizing the production methods available at the time. When the factory began to experiment with doing flakes, I was all over it, and took Robusto as a starting point for the development of a similar, but also very different mixture. Too, I often "play" with old blends to see what directions they can travel with some tweaking. Sometimes, this results in something new, or at least a new idea, but most often, it ends up being just a fun experiment with results that will never see the inside of a tin, and believe me, there have been a lot of those over the years! 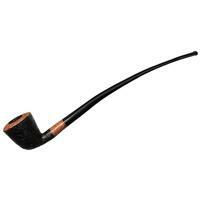 Garrett B. pens: I wonder if you can tell me about your experience with the effect pipe smoking has on your ability to taste and smell “subtle” flavors and notes in other comestibles. 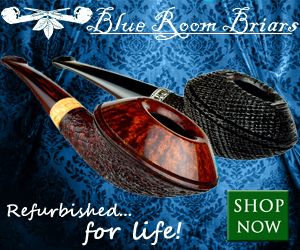 I am a long time craft beer drinker (and reviewer) and am concerned that long-term pipe smoking might be dulling my tongue and olfactory. 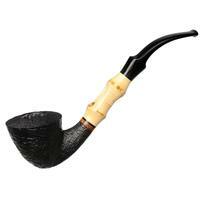 Of course, I don’t smoke a latakia mixture heavy pipe and then immediately turn to sip a frail, delicately brewed witbier, as an example, but I wonder if pipe tobacco might be having a long term, deleterious effect on my beer tasting hobby. On the other hand, your senses seem to be sharp as ever - and the job certainly demands them. Thoughts? A: To be honest, I think my sensory acuity has actually improved as a result of doing what I do. 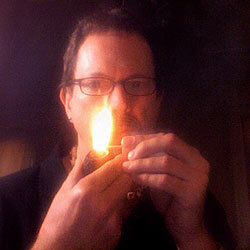 I certainly taste and smell a lot more in a tobacco blend than I did when I started puffing on pipes three decades ago. Further, I’m not absolutely convinced of the often stated correlation between smoking and sensory depletion, but have a feeling that if there is anything to it, much or most of the phenomenon lives more in the realm of the heavy cigarette smoker than the occasional pipester. On the other side, paying attention to what we are eating, drinking, smoking, plays the more significant role, I think. By focusing on what we are experiencing during the process, our senses become sharper, more finely tuned. So, as always, there’s wisdom in moderation, but I think there’s little to worry about. Marshall wants to know: I just found a tin of Barbary Coast dated 01 11 07. I found it to be a mild blend which was as described in many reviews. Would it have “aged” and changed much in those 7 years? 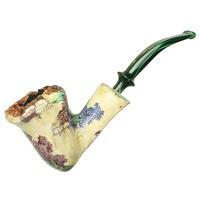 ( In a cob and a Meer, It was a burley up front blend that got a bit sweet in the second third of the pipe, Perique?, I did not notice the Virginia much.) Maybe I should get a recent tin and compare it. Good for business. A: As a general rule, burley blends do not age as dramatically as virginias do, but there are exceptions. Since Barbary Coast actually does contain a fairly high percentage of virginia leaf, as well as some perique, there’s plenty of "stuff" going on in the tins. It’s not surprising that the burley dominated your experience, as it’s the dominant ingredient in the blend, at over 60% by weight. After seven years, the virginias will have become more complex, but also softer, so they may not be making as bold a statement as they do when young, but they are most likely responsible for that sweetness that your getting as the bowl progresses. Perique adds the little peppery notes that sometimes tingle the nose. Should you get a recent tin? Absolutely, if you like what you’re tasting in the aged version. Sure, it’s good for business, but even better, it’s a great way to experience the fun of tasting young and old versions of the same blend. You’ll probably find the young tin a bit more enthusiastic, more direct, a little less subtle, but youth has its charm, too. 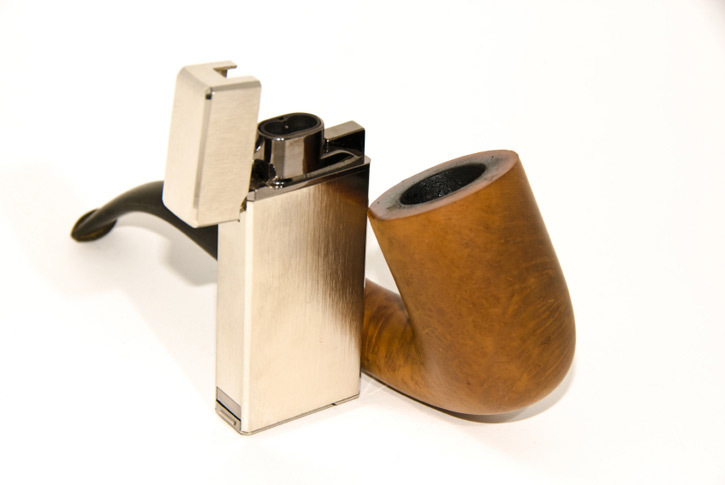 Seth asks the burning question: Why do some tobaccos smoke cleaner than others? I never really gave this much thought until I noticed that my system pipes didn’t have to be cleaned as often after I had been smoking a different brand. A: There are a few different reasons one blend might smoke cleaner than another. Starting with the easiest, many aromatic tobaccos rely on humectants, like propylene glycol (PG) both as a carrier of the flavoring components and to maintain the "freshness" of the tobacco over longer periods of time. Other blends rely on casing sauces with a significant amount of added sugars to amplify the sweetness of the tobacco. In both cases, a greater amount of moisture and residues can be produced during the smoking that will tend to precipitate out in the well of your system pipes. If not cleaned regularly, this will ultimately harden to form those tars that can be challenging to remove. Tobaccos that are delivered in a more natural state will tend to burn cleaner, leaving less moisture and tar behind. But, that’s only part of the picture. 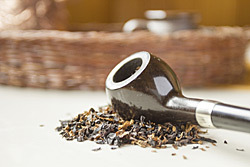 Different tobaccos also naturally produce different amounts of distillates as they smolder, and this can also vary according to smoking technique. A hotter smoker will usually produce less goo (technical term) than a slow, cool smoker. This is sometimes compounded by moister tobaccos, since their increased moisture content also tends to result in slower smoking, so if a tobacco is quite damp, there can be a sort of a double-whammy. 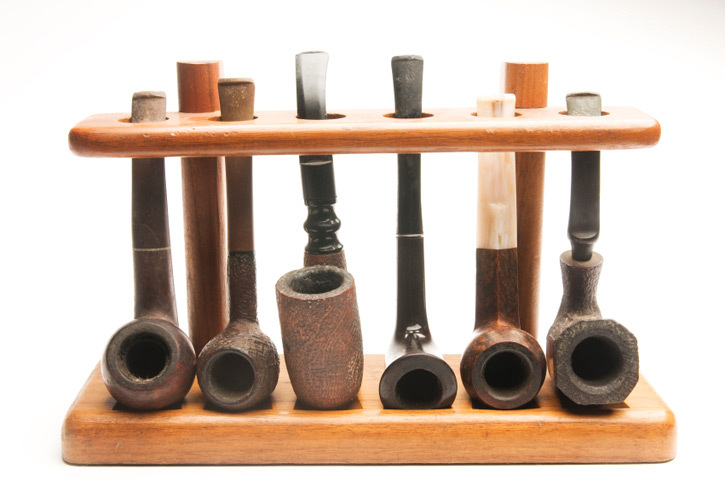 Often, drying out a blend to the point where it’s springy, but not sticky, can help to get a cleaner experience, but if the tobacco is heavily cased or sauced, you’re likely to just have to rely on keeping a good inventory of pipe cleaners. With that, we’ll close this chapter. As always, keep your cards and letters coming, and stay tuned for next month’s exciting episode - same bat time, same bat channel. Thanks for another interesting and informative article. So, after all the hair pulling mentioned in your preamble, what can you tell us about your newest creation? A great morning read. Eagerly awaiting your new blend. Great article. I look forward to these every month. I just picked up a tin of Jackknife plug, Telegraph Hill, and Key Largo; all are my first ventures into the magical kingdom of Mr. Pease. I cracked the tin of JKP on Monday and found it fantastic, but the large bowl I smoked it in left me with more nicotine than I can handle. 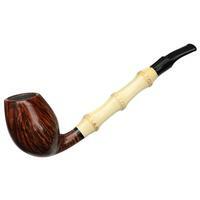 In a smaller bowl this will be one of my favorite tobaccos. And, yes, JackKnife can be a little stout in large bowls. I should probably have put a warning on the label. Straight Virginia plug, or perhaps a Virginia and oriental plug, would be my guesses. Great article as ever. Often wondered why Robusto (perhaps my all time favourite & certainly of those tobaccos produced since a 2 appeared in every date) is so different from Key Largo of which I have quite mixed experiences ranging from first seeing it as a fine tangy summertime blend to finding a later iteration a little bit unkind in an abrasive sort of way (to be fair to Key Largo I have a tongue so delicate that a majority of tobaccos has an adverse effect although less than 1/4 of GLPs masterpieces). I supposed that at least one of the component tobaccos was very different; my totally uninformed guess was the orientals. On reflection it could mostly be the pressing and I would be fascinated to taste a pressed variant of Robusto or at least know what Greg’s impression of this was - given the history of Robusto’s inspiration by Sobranie Number 10 I would offer very long odds he did try just that experiment when he did those early experiments on pressing. 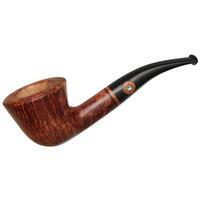 On wine/beer tasting and pipe tobacco I have found no adverse effect after 35 years smoking like a chimney - I even enjoy a bowl of Robusto with vintage port although combining pipe smoking with that nectar was one of the traditional taboos. My guess about the new tobacco is an addition to the New World category - possibly a much more delicate virginia, perique, Kentucky mix; a sort of Fog City style tobacco in a plug form. I just hope the much heralded new regulations on tobacco product packaging this side of the pond do not prevent me sampling it. Great article Mr Pease The Master of Tease. I’ve been thinking about this post in conjunction with the post in “The Briar and Leaf Chronicles,” “Limited Disappointment,” and I’m wondering if it would be accurate to say that your most rewarding blending is found in making a new blend, no matter that you could release a limited release much more quickly and easily. And if it is true that doing so would bring financial benefits, you don’t do so because the time you would need to invest is not as creative. Another theme that I read is that many times what would seem to be a good idea to rework a blend in the end is not, and that this has been the case many times. I remember asking you about making a Haddos or Cumberland flake, and your answer was that time spent doing so would in large measure repeat what you had already done. Is it then true that you feel your best blending occurs when you start from scratch, and that doing so is the straightest path to a blend that meets your standards; that you are better at creating a blend anew than modifying an existing blend; and that you prefer to forego financial rewards in order to spend your time creating anew? Thanks for such a super article!